If you run hosting business, one of the main components of your success, is a solution for sales automation. Needless to say, that finding the best billing panel is the main task to efficiently manage your projects and clients. Nowadays, billing platforms for hosting providers should not only receive payments and provide Technical support services. They should meet specific needs of hosting industry. That’s why billing platforms for general use will hardly meet your business requirements, as they are not integrated “out of the box” with popular hosting control panels, domain registrars, SSL providers, and other services. In this article you will find the most popular billing solutions, both commercial and open-source, which functionality is tailored for business needs of hosting providers. 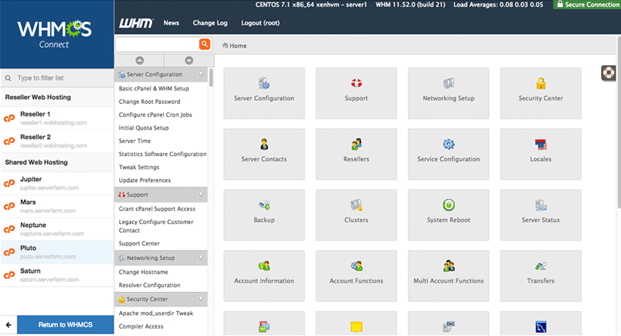 WHMCS is one of the most popular client management, billing and support systems for hosting businesses. 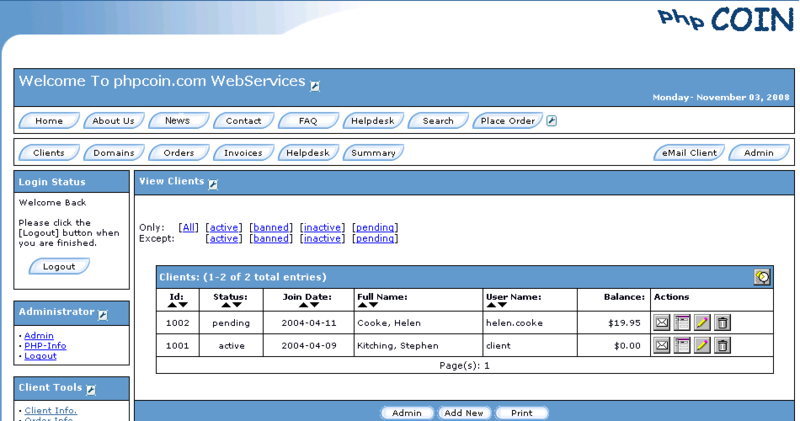 It enables to handle the whole process from signup to termination, with automated billing, provisioning and management. With this billing platform, you will get a very powerful business automation tool. Also, all licenses come with a 30 day money-back guarantee. HostBill platform’s core components are designed to help providers acquire customers, automate provider’s services, and ensure that invoices are paid on time. Yes, the initial purchase could be pretty expensive. 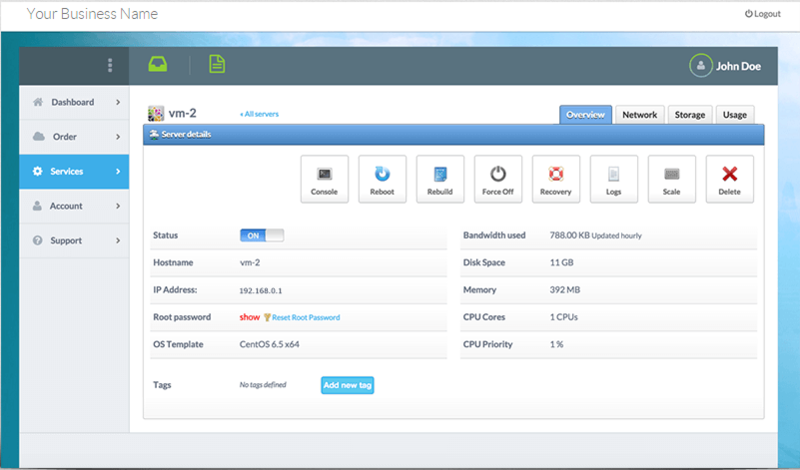 But basically it has everything included: cPanel, SolusVM, Xen, etc. It also has very nice customizable order pages, great auto-upgrade feature, and an impressive number of weekly bugfixes. One of the most interesting features is that BILLmanager is available in free, fully-functional version, which can be used for managing up to 50 clients. It could be really interesting for startup providers, who want to use premium billing solution and minimize launching costs. 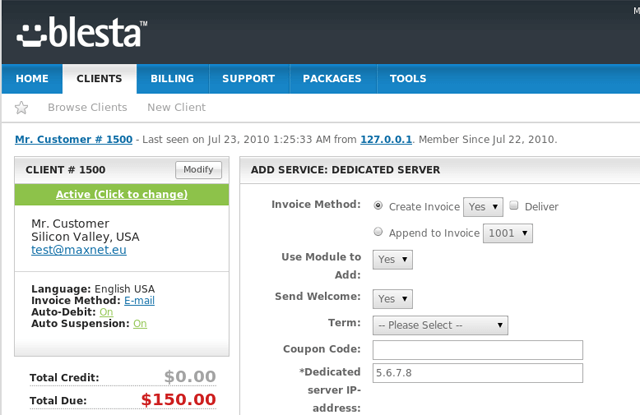 Blesta comes with a modular design, which means that this software works for a wide range of business types including web-hosting companies, web designers, developers and many more. However, at this time Blest have zero support for dedicated servers or colocation services. In this case it is way behind first three billing products. The good thing is that Blesta developers are open to suggestions and have a pretty fast release cycle. You could always try to reach them and ask for features you need. WeFact Hosting is a commercial, easy-to-use billing solution with minimalistic design, specially designed for startup hosting and web-design companies. WeFact Hosting automates all of the main processes including real-time registration of domains, creation of hosting accounts, orders handling and sending of invoices. 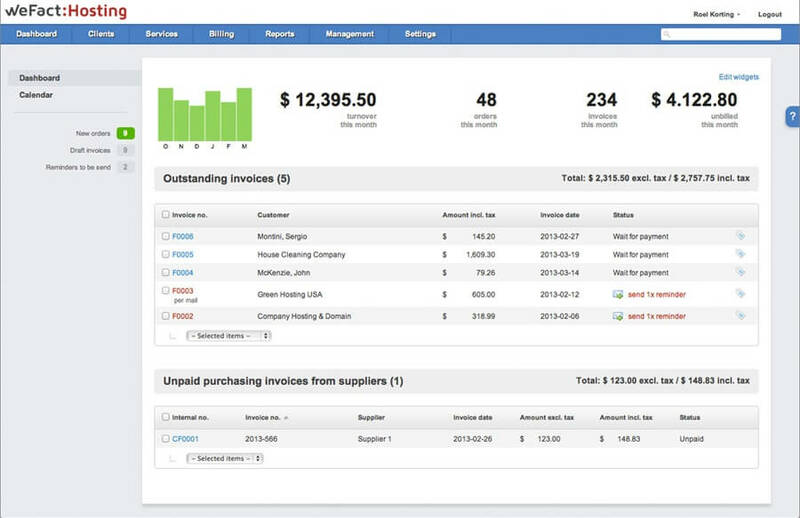 Freeside is an open source billing, trouble ticketing and provisioning automation software tailored to online businesses, including ISPs, hosting, collocation and content providers. It is also the only open source billing platform which I could recommend hosting providers to give a try, because of regular updates and strong community behind the product. The billing functionality includes real-time credit card and e-cheque processing using the popular payment gateways; e-mail, fax, printed and online invoicing; and flexible pricing and rating plans, like anniversary billing and usage-based billing. 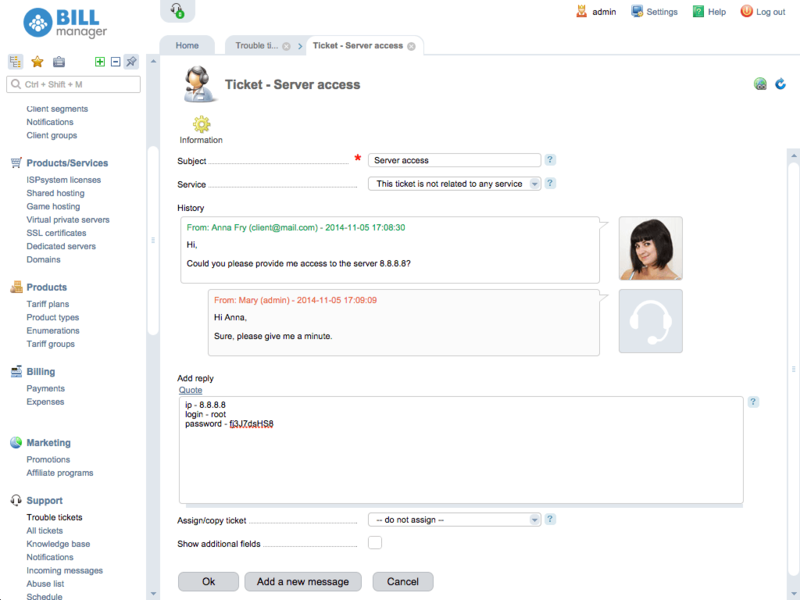 Freeside also integrates with Request Tracker, another open source project for support ticketing. The phpCOIN is an open source product, specially designed for small and mid-sized hosting resellers. However, it can be also used by any type of business. Its purpose is to present information to clients using various content, provide an interface for invoicing, where customers can easily pay for their services. The last version of “phpCOIN Force Edition” was launched at the beginning of 2015. This is a pretty long period without updates for a billing solution that is supposed to conform to the highest standards of security. 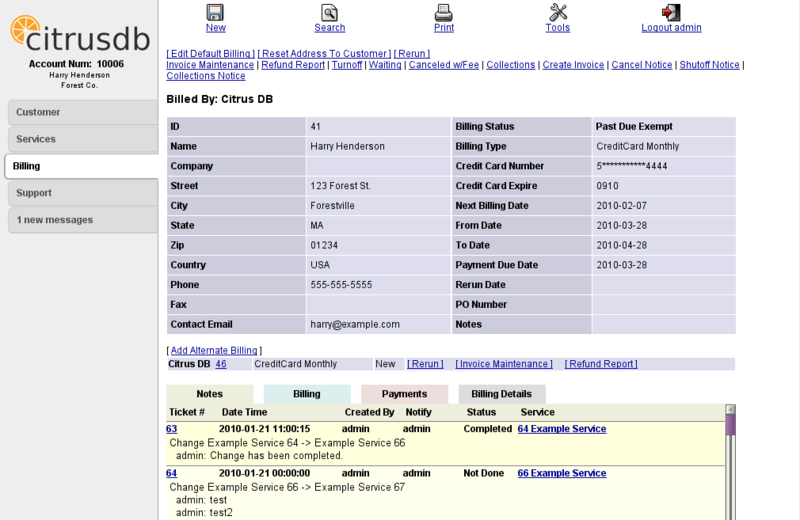 CitrusDB is an open source billing system for small businesses including hosting services providers. It can be used for CRM, products and services management, invoicing, and clinets support. Despite the fact that the last release of CitrusDB was launched on 2011-12-07 (according to software’s page on the launchpad), it is still popular among users. However, you should be aware that it might be insecure to use an outdated product, even if you you are going to use it for development of your own solution. So, I’ve described 8 popular billing platforms to help you decide which product best fits your needs. If you know any other hosting billing software and want to include in the list, do let us know in the comments. I'm a technical evangelist at hosting software developing company from Siberia, Russia. I'm curious and like to expand my knowledge whether from new Linux software tools or to Hosting Industry trends, possibilities, journey and opportunities. WHMCS is NOT open source. All their code is compiled. Hey nice list! It’s good how you explained both open source and commercial closed billing platforms. I am looking for a good billing platform, not sure whether would like go with open sources or commercial software. I just want a platform that will really take away the complexities of manual billing. 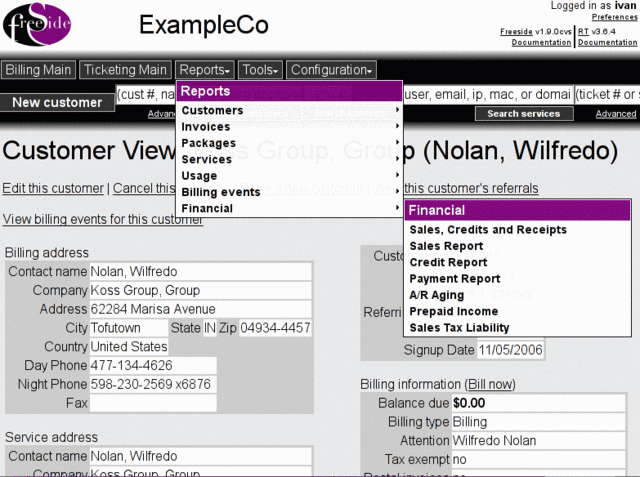 I read about simple invoices being a good PHP based billing software. However, I read in an article about a nice recurring billing management software called RackNap which can give billing solution to all type of industries like telcos, hosting providers and cloud providers. It provides end-to-end automation which can be helpful for getting rid of billing complexities. I think you need to read more about “Open-source” because most of them are encoded. Blesta is 99.7% open code which is the closest to open-source you can get without being open-sourced. So for a blog with fake followers you really don’t understand what you represent do you? The title of the post is “8 Open Source/COMMERCIAL Billing Platforms for Hosting Providers”, so both open source AND commercial closed source solutions are being reviewed. Seems to me that the post is exactly about what it says it is about. HopeBilling is 99.9% open sourced.